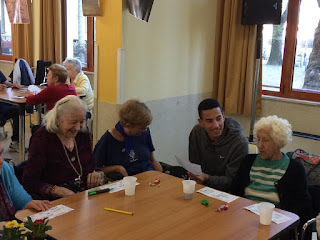 Young people of different origins all together at the elderly house of Panigarola, in Corvetto area. To play bingo with the oldest ones. To visit them as if they were relatives.